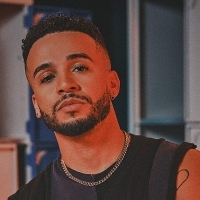 Aston Merrygold is a British singer, songwriter and dancer and one-time member of the X Factor boy-band JLS. Releases include the 2015 debut solo single, "Get Stupid", plus the singles: "Show Me", "I Ain't Missing You", "One Night in Paris", "Precious", "Trudy" and more. Aston appeared in the 2017 edition of the BBC's Strictly Come Dancing where he was partnered with Janette Manrara.